I'll never let print die. It's the writer's logo. It's how you can truly show off. Let's start with De Beers. I was truly proud to work on this famous campaign. What did I learn after writing hundreds of them? 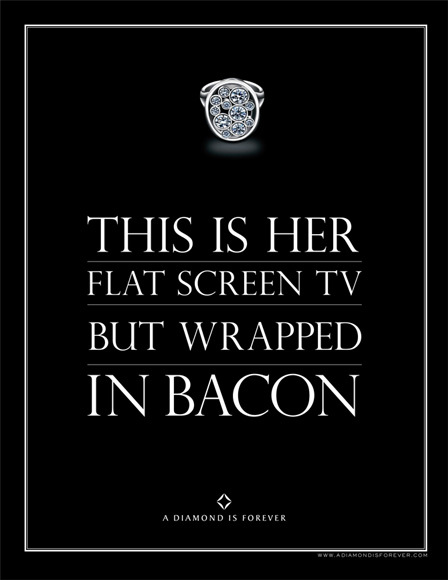 Diamonds are a copywriter's best friend. (Sorry, the pun just kind of took over.) Followed by Sharper Image. Remember them? They didn't make it, but sure was fun writing for them. And next? Imelda's Shoes. Best freelance job ever in Portland, Oregon...writing headlines for shoes.